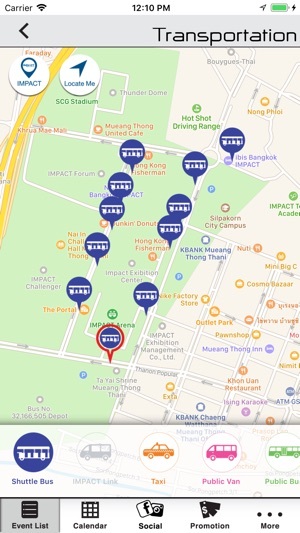 IMPACT Muang Thong Thani is a convenience and modern service in an iOS application form presenting the event list and event calendar to serve your chic lifestyle. 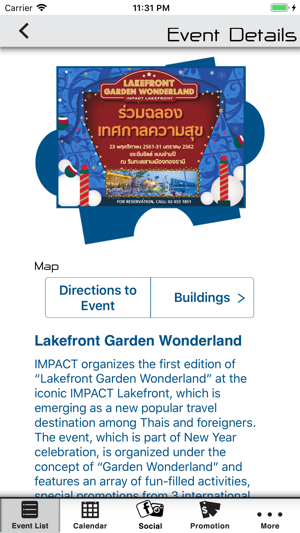 Conveniently, you can get today and upcoming events’ information i.e. dates, times, locations, ticket information and event’s organizer information. 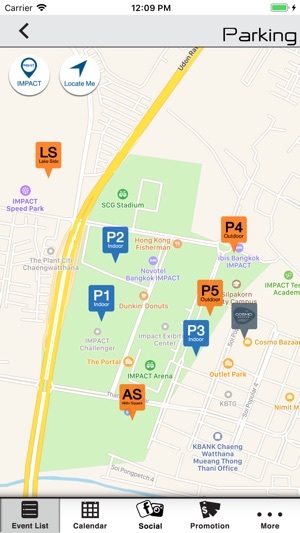 In addition, Google map with direction and buildings map are also available to simplify your commute and planning. Moreover, you can easily share event information with friends via email. 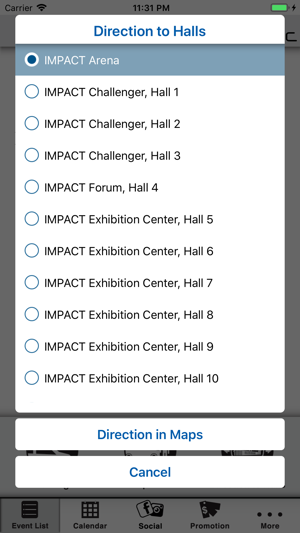 Last but not least, you can also find promotions from IMPACT’s restaurants and event organizers within the app. 10. 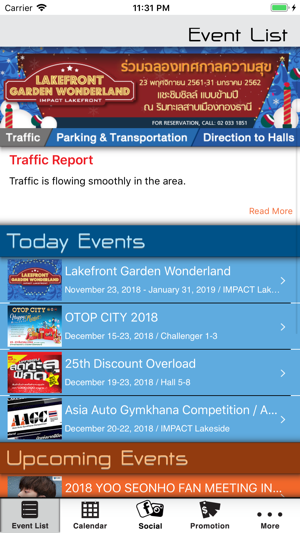 Traffic, parking and transportation information.